We continue with Shadowhunter Week, the week dedicated to the Shadowhunter world created by Cassandra Clare. Before, I had a few quick words to say about the two main novel series, The Infernal Devices and The Mortal Instruments. Today I’m turning to a collection of short stories written by Cassandra Clare, Sarah Rees Brennan and Maureen Johnson: The Bane Chronicles, the book that I’d been personally looking forward to read for quite a while. Despite his glittery demeanour, Magnus hasn’t necessarily had the best life. An outcast from an early age due to his demon heritage, which physically shows in his cat eyes, he’s had to struggle, to love, to lose, and do it all over again. In contrast to other warlocks, though, he compensates by decidedly having fun and going on adventures, and that’s what especially the first few short stories are about. I wasn’t sure whether those actually did his character real justice – too often he simply appeared to be written as a Jack Sparrow-esque character, and while it’s a lot of fun to read, I thought they were lacking something. Still, I enjoyed them a lot, and the depth of his character was explored in much more detail in other stories, so all is good. As the book progresses, the mood gets darker and darker, giving an outlook on events that are hinted at in the novels, but that the author obviously wasn’t able to explore there. Particularly powerful (and, yes, hilarious) was Saving Raphael Santiago, in which the relationship between Magnus and the vampire Raphael, who also features prominently in The Mortal Instruments, is explored, and heartbreaking and heartwarming were the stories in which his relationship with Alec was given more attention. One somewhat disappointing aspect, however, is that The Last Stand of the New York Institute introduces Valentine before the Uprising, but sadly the story skips the Uprising itself – and I’m sure I’m not the only one who would have loved to read the details about such a decisive event. 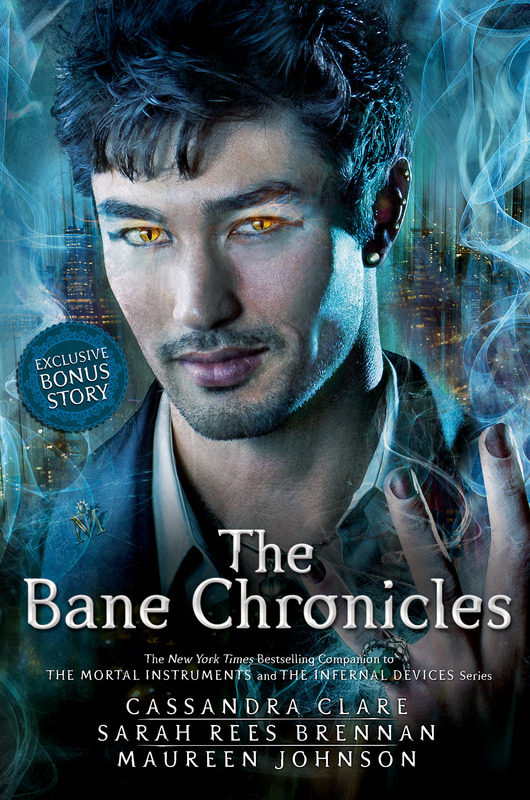 Overall, I thoroughly enjoyed The Bane Chronicles, and some of the stories in particular are fun enough to read over and over again. I doubt it’s the last time I picked up the book. For anyone who wants to explore the character of Magnus a little more – and there is so much promising about that character – this book is it; my only regret is that there’s only one such book. It’s great to read when you need something light, something uplifting, something fun – but remember, some parts of Magnus’s life are darker as well. But it wouldn’t be Magnus if he wasn’t able to take it all with a winning smile.